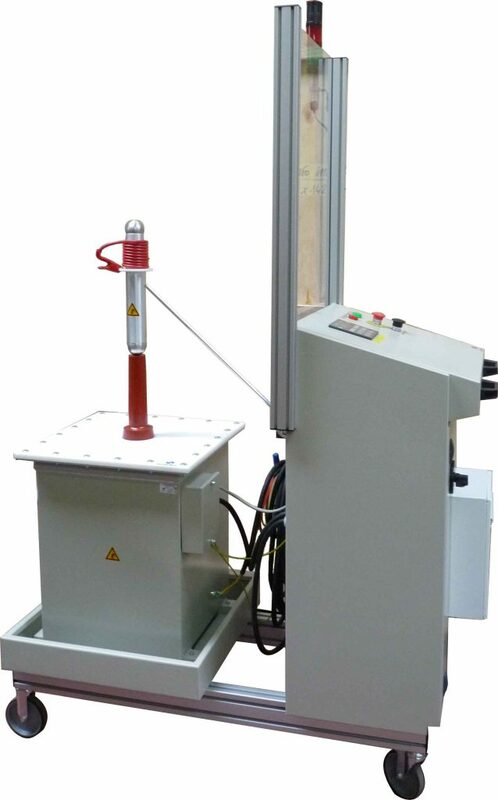 Designed with ergonomics and to meet logistical problems, this mobile hipot tester is moved into the safety zone around the various connection points of the MV cells. The area bounded by removable barriers (chains, barriers …) is treated as a temporary test platform according to EN 50191. Two presence buttons are provided for the operator and the supervisor of the operations to make an emergency stop in case of any intrusion in the danger zone.